If this is your first time to drive in the United Kingdom, it is important to know the traffic rules, speed limit, toll fees and other important information. VroomVroomVroom has put together a quick guide to help you to get used to British roads. Below are some essential driving tips for you to know before you start your road trip. The minimum driving age is 17. Note that this is only a summary. Make sure that you are aware of all these rules and regulations before you begin your journey. For more detailed information, check the Highway Code website before you drive. 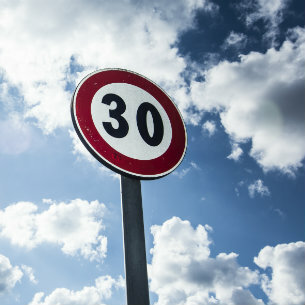 Speed limits do vary depending on the type of road and the vehicle you are driving. You must not exceed the maximum speed limit set for the road and/or your vehicle. The UK law states that you must wear a seat belt if one is fitted unless you qualify for a medical exemption and have the certificate to prove it. In addition to that, you must know how to properly use a seat belt, child restraint, car seat or booster seat. Children between 3 – 12 years old and under 135cms in height must use the correct child restraint. You must have held a full licence for a minimum of 1 year to drive a hire car. Note that for rentals in Ireland, some suppliers like Avis require their customers to hold a valid driver's licence for 8 years of which 2 must be at a full driver's licence qualification. *Countries included in the EC/EEA are: Austria, Belgium, Bulgaria, Czech Republic, Republic of Cyprus, Denmark, Estonia, Finland, France, Germany, Greece, Hungary, Iceland, Ireland, Italy, Latvia, Liechtenstein, Lithuania, Luxembourg, Malta, Netherlands, Norway, Poland, Romania, Portugal, Slovenia, Slovakia, Spain, Sweden, United Kingdom. As of 8 June 2015, the Driver and Vehicle Licensing Agency (DVLA) has already implemented the paperless driving licenses. Make sure to fill up this form at least a day before you pick up your rental car to get a special code. Contact DVLA at 0300 083 0013 if there is an error in getting a code online. Parking in Britain is not particularly easy to understand. There are many different regulations to follow, and often it can be hard to know where you can park. Restricted parking areas are continuously checked by authorities and fines can be very expensive. Click here​​​ for more information about parking in the UK. Single and double yellow and red lines along the edge of the road are used to indicate where you can and cannot park. Single yellow lines: there are restrictions on parking at certain times. You can pull over on a single yellow line to let a passenger in or out of the car, but the driver must not leave the vehicle. Check the signs on the road to find out parking restriction times. Double yellow lines: You cannot park at any time. Single red lines: You cannot park or STOP at certain times as stated on the nearby road signs. Double red lines: You can't park or STOP at any time. Car parks are a great and often more secure alternative to on-street parking and there are many across Britain. Some are free, but most you will have to pay for. Charges always vary depending on the location and time. Car parks can be found at places like railway stations, airports, and large supermarkets, or simply in an area where extra parking is needed. For car parks servicing a particular company, you usually have to be a customer to use them. For most car parks there's a time limit on how long you can stay for. With most car parks, there will be a charges board on display at the entrance which tells you how much it costs to park. The cost usually increments with every hour of your stay, and you will pay on the way out. If you're parking in an unknown area, it's best to find a car park with security, and make sure you never leave any valuables on display in your car. Pay and display is where you buy a ticket for a certain amount of parking time. Pay and display is used for on-street parking, car parks, and wherever you see the pay and display sign. Pay and display prices always depend on location and time and the machine will tell you costs for parking. You must always clearly display your ticket on the dashboard, windscreen, or passenger window, then you must remove your car or pay for more time before your ticket runs out (the time is always printed clearly on your ticket). Remain aware of the speed and position of the traffic around you. Click here for more information when reaching the roundabout. If you are planning on driving your hire car through London, you will probably enter the Congestion Zone Charge. What is the congestion charge? This is a daily charge to drive in central London between 07:00 and 18:00, Monday to Friday excluding Public Holidays. It was designed to reduce traffic and raise money to improve transport in London. There are no barriers or toll booths to the zone and you do not have to show any tickets or passes. The zone is monitored by cctv cameras, which record all vehicle number plates and determine whether the charge has been paid. They recognise both British and European number plates. There are certain roads you can use to get through central London without paying. These are clearly indicated by road markings and signs. To see a map of where the congestion charge operates and for more details check the London Congestion Charge pages of the Transport for London website. 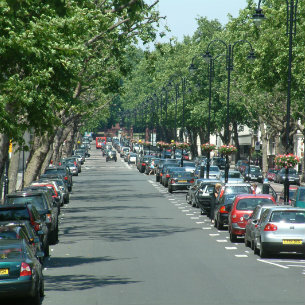 Learn more about the London Congestion Charge here. There are also strict driving penalties if you are caught over the limit. You could be imprisoned, banned from driving and face an unlimited fine if found guilty. Please note that the actual penalty you get is up to the court and depends on your offence. ​Click here​ for more information about alcohol and road safety​. Planning to drive from London to Paris? Taking the Eurotunnel if you are coming from Great Britain is one option to reach France. Please be informed that Eurotunnel's car carrying service runs via the Channel Tunnel from Folkestone to Calais/Coquelles. alert and stay informed for road risks and hazards. In addition to that, it always pays to be prepared. Hence it is recommended that you carry a road map, first-aid kit, warning triangle, spare light bulbs, fire extinguisher and reflective clothing in case of an emergency. Don't forget to f amiliarise yourself with your hire car and its controls before you leave the depot. When you are feeling unsure or have any questions, make sure to ask. Planning to book a car hire? Learn how easy it is to use VroomVroomVroom. For more Driving Tips in the UK, check out some of the helpful articles here. You can also find our more about how car rental works.